Everyone’s Talking About Omnichannel, but Who’s Doing It Right? A couple of weeks ago, Crown Retail Services‘ Stephen Stephanou told the Real Estate Board of New York commercial brokerage retail committee that he is helping Nordstrom find a few retail spaces in New York City—on a short-term basis—for its inventory-less service concept, Nordstrom Local. 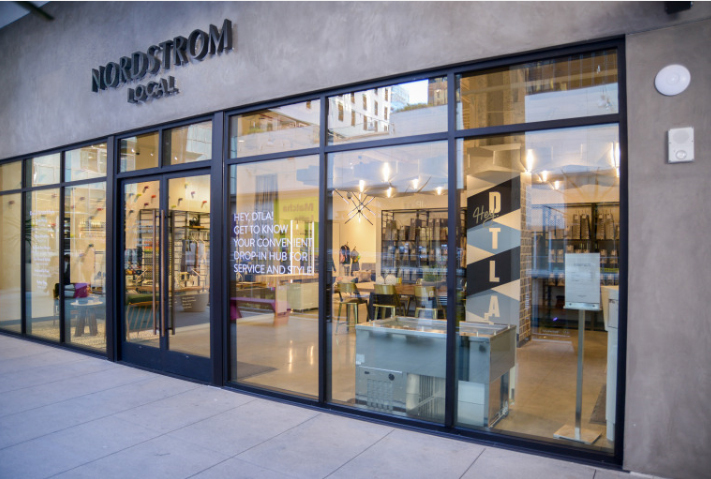 The Seattle-based company’s Nordstrom Local locations—there are three in Los Angeles and they occupy up to a few thousand square feet, a fraction of the average 140,000-square-foot Nordstrom store—are just part of the fashion retailer’s omnichannel approach. “We’ve been investing pretty significantly against adding capabilities, certainly digital capabilities, but also capabilities in our stores to serve customers in the new ways they want to be served,” said Erik Nordstrom, a co-president of Nordstrom, according to Diginomica. The integration of offline and online, which some call “phygital” (physical plus digital), has become paramount, though not all brands, especially legacy ones, are able to strike the right balance. Commercial Observer talked with U.S. and international brokers at MAPIC, the international retail real estate show in Cannes, France, last week about what brands are seamlessly marrying the online and offline worlds. Most people were only able to come up with a few names. Nordstrom and Whole Foods have successfully joined the online and offline experiences, said Patrick Smith, a retail broker at JLL. A brand that is doing well with the integration, according to Chase Welles, a partner of SCG Retail, who was clad in a Bonobos suit at MAPIC, is Bonobos. The brand allows you to shop online but touch and feel the clothes in the store. “You walk in the store, you’re measured, and it shows up at your house the next day,” Welles said. Richard Scott, a director at London brokerage Nash Bond, told CO in Cannes that it is a lot easier for a business with a technology background to add a physical store than is the reverse. A case in point is the legacy, or long-standing, brands. “For reasons of legacy attempts and constraints of imagination, it still baffles the big guys who persist in claiming that not charging me to pick up my goods ordered online is a breakthrough for physical retail,” Newlin said. Scott said one company that is succeeding in fusing their online and offline channels is Made.com, a London-based online furniture and homeware company with a few experiential showrooms in Europe. Shoppers can visit the showroom, peruse the merchandise, and then need to buy the product online. E-commerce as a percentage of retail sales in the U.S. is less than 10 percent, according to the U.S. Census Bureau of the U.S. Department of Commerce, but it will continue to rise. Newmark Knight Frank‘s Jason Pruger said the issue of successfully integrating online and offline is an ever-evolving story. “That story’s still being written as we speak,” he noted.